For Sale in Warrington for Asking Price £110,000. 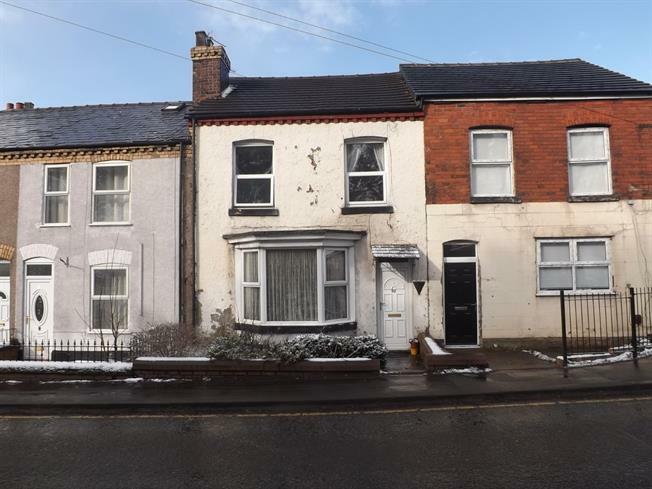 This is a fantastic opportunity for a investor or large family to buy a great four bedroom terraced property and loft room, With next door been turned into two apartments or a chance of a multiple occupancy property this really does give great value for money. Inside there is a long entrance hallway leading to two large reception rooms, the kitchen is on the rear of the property and again is a generous size, downstairs is then complete with a downstairs WC. To the first floor there are then four bedrooms with the master being a spacious size and a family bathroom. There is then a loft room with a proper staircase which is an excellent size and could be used as another bedroom. Outside there is parking towards the rear of the property. Please call the office on 01925 574053. Double glazed uPVC window. Radiator, vinyl flooring, ceiling light. Granite effect work surface, wall and base units, stainless steel sink, integrated, electric oven, integrated, gas hob, overhead extractor. Double glazed uPVC window with frosted glass. Radiator, vinyl flooring, tiled walls, spotlights. Standard WC, panelled bath, electric shower, wash hand basin, extractor fan.